street sign fasteners that you and your company will ever need. breakaway nuts, aluminum nuts and bolts, and many more! Buy our American-made products. Deter highway sign theft. Stop street sign theft. Protect yourself and your company from lawsuits. Certifications provided. We ship to you the same day or next day. Most of our	products are American made- Made in the USA! We have over 20 years of experience in sign fastener distribution. 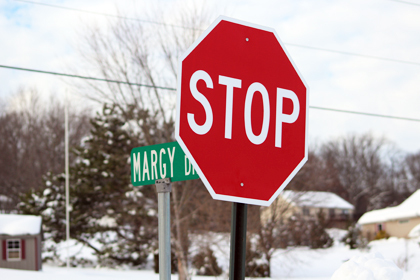 Sign theft can cost the average Engineering or Traffic Department from $35,000 to $75,000 annually, not including legal costs resulting from accidents caused by missed signs. Protect yourself from litigation as well as keeping your signs safe. Tufnut sign security hardware has been used since 1977 to secure street signs & protect people, property, and traffic departments from the problems caused by sign theft. Use Aluminum One-Way Vandal Proof Bolts for all your traffic signs. They cannot be removed by vandals. These work great with Breakaway Nuts. These rivets have approximately double the shear and tensile strength of a standard steel pop rivet. Once set, part of the splined steel mandrel stays inside the rivet for added strength.